Following is the greater part of a biography of Köhler from Leonardo De Lorenzo's My Complete Story of the Flute (1950). De Lorenzo did not always stick to the facts or get them 100% correct, but his personal style and feelings for his topic can be endearing. Ernesto Köhler was born at Modena, Italy, on December 4, 1849. 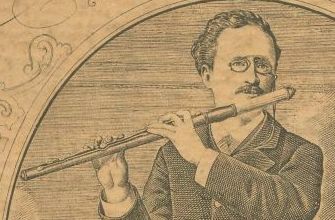 Like many other famous flutists, he came of a musical stock and was reared in a musical atmosphere. While a child he commenced to play the flute under the gentle, affectionate tuition of his father, Venceslau Joseph Köhler, who was first flute in the orchestra of the Duke of Modena. Quantz, Nicholson, Boehm and Briccialdi alike have insisted that there is no "royal road" to success in flute playing. Natural aptitude, hard work and good teaching have ever been considered the most useful aids to proficiency on what is really a difficult instrument. Young Köhler, besides a natural aptitude for the instrument of his choice, had a good instructor in the father, whose heart was gladdened by the eager willingness and receptive nature of the bright pupil who made such rapid progress. Ernesto pursued his flute and musical studies with such ardor that at an early age he became a first rate performer; and, long before boyhood was over, in company with his brother Ferdinando, a pianist of repute, numerous concert tours were made in Italy with unvarying success. The critics were unanimous in commending the brilliant execution, fine tone, chaste style and general elegance of delivery of the young flute artist; they also remarked the frequent approval of an exacting public. On attaining twenty years of age, in the year 1869, Köhler was desirous of seeing more of the world, and, as might be expected, of obtaining fame and fortune; or, failing that, to at least secure a comfortable musical appointment. At this juncture in the young artist's career the seat of first flute in the orchestra of the Karl Theatre, Vienna, happened to be unfilled, and the young flutist was urged to take the position. He decided to do so, and held the place for about two years; during which time, as opportunity served, he gave flute concerts at various towns in Austria. He also devoted some of his leisure to composition, and published several pieces for flute and piano, the freshness and merit of which at once attracted the attention of continental flute players. A couple of years in the Austrian capital enabled Köhler to look well around him and to consider duly the prospects before the would-be flute soloist. In 1871, he decided to act on the advice of the famous veteran, Cesare Ciardi, who had urged him to leave Vienna and take up his residence in St. Petersburg. The journey to the Russian capital was made, and, supported by the strong recommendation of his renowned confrère who held an important position as flutist, Köhler at once obtained an appointment in the orchestra of the Imperial Ballet. ... In 1900 Köhler was appointed first flute in the orchestra of the Imperial Russian Opera, thereby holding the premier flute position in the Empire of the Czar. The prominent appointments held for so many years by Köhler undoubtedly restricted his fame as a soloist; but any loss in this respect was more than made good by the promises of enduring popularity as a composer. Köhler wrote a number of excellent flute works well planned for educational purposes, and many solos decidedly pleasant to play, which have met the approbation alike of flutists and of the musical public. As a composer, his strong points are melody—genuine and spontaneous—a good knowledge of the technique of the flute, together with the art of adding appropriate, tasteful accompaniments to all his pieces. In composing for the flute, Köhler, who had many pupils, was mindful of the need of meeting the requirements of medium performers; numbers of his pieces being written for this class of flutists. The concert solos are, of course, composed to exhibit the power of the virtuoso, and will, generally, be found difficult enough. Köhler's enthusiasm and industry were apparently ceaseless. The list of his works passed the hundred mark. This includes a theoretical and practical flute school (which had been adopted at several Continental conservatories of music), numerous flute studies, duets for two flutes, pieces for two flutes and piano, and some scores of bright, melodious arid often charming salon pieces with piano; besides larger works, notably Schwalbenflug, Hirten Idylle, La Romantique, Papillon, Concerto Op. 97, etc. which have been frequently played by the leading soloists of Europe, America and Australia. ... In addition to the works detailed in the list appended to this notice, Köhler wrote an opera, Ben Achmed, which had a successful run in St. Petersburg (1893), and some ballets—one entitled Clorinda, being very popular at the Imperial Theatre, St. Petersburg. The writer is in possession of a clipping from the St. Petersburg Herald of November 25, 1906, which gives a brief description of his career on the occasion of the thirty-fifth anniversary of his being flutist of the Imperial Opera and towards the end of that year received a letter from him making an appointment to meet in Milan in the following spring, saying that he had given up the active life of the profession and that he hoped after thirty-five years of hard work to enjoy his remaining days in peace and quiet. Upon arrival in Italy six months later, the writer was astonished and grieved to receive the news of his demise. Ernesto Köhler died in St. Petersburg on May 17, 1907.